Classic bobber style, refreshed for 2013. 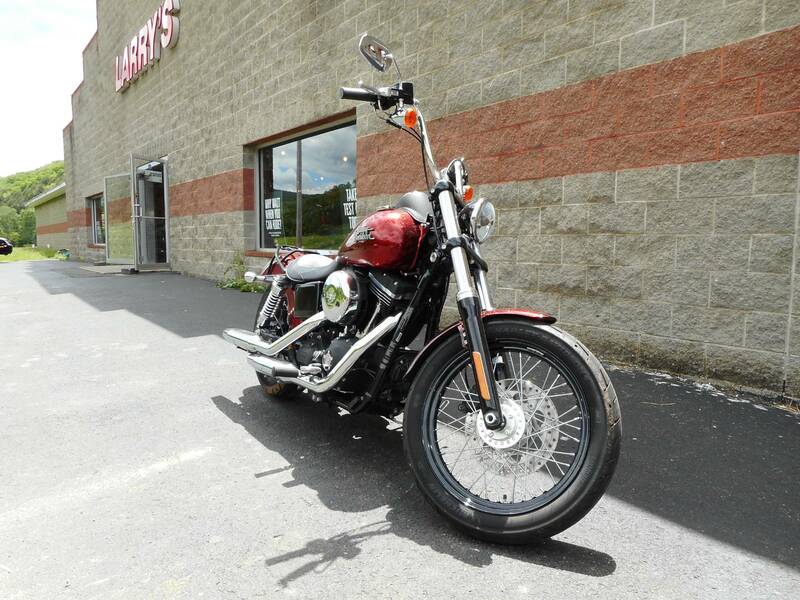 The 2013 Harley-Davidson® Dyna® Street Bob® FXDB model is a classic bobber motorcycle. Newly redesigned for 2013, the Harley® Street Bob model has been stripped down and refined to pure bobber essence. It's everything you need and nothing you don't, pure and simple. Also new for 2013, the Street Bob FXDB model is the ideal starting point for easily creating your own customized cruiser; with optional H-D1™ factory customization you can design your perfect, personalized ride and order it built to your specifications directly from the factory. Also for 2013, the Dyna Street Bob FXDB model comes with optional Hard Candy Custom™, a large metal flake paint finish that recalls the iconic styling of 1970s custom bikes, and offers blazing color showing through a deep finish. If you're looking for bobber motorcycles you'll like the Street Bob model's slammed solo bobber seat. This seat not only adds to the style of the bike, but also keeps you comfortable. 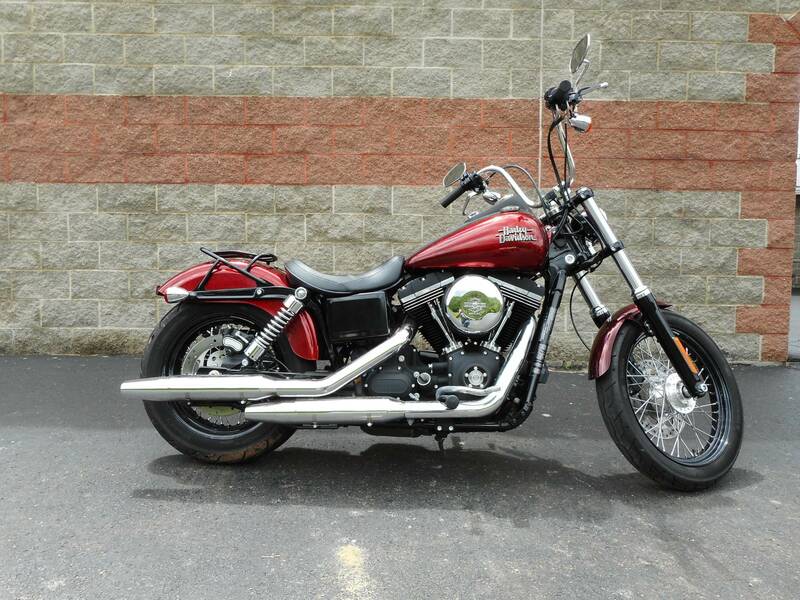 The bobber appearance is also maintained in the post-war style, stainless steel mini ape hanger handlebar. Add that to the stripped down Dyna fender, in combination with a good portion of the metal stripped off the bike and you have a classic bobber motorcycle look. The 1940s sausage taillight also adds to the classic bobber motorcycle style. The classic look continues with the Harley Street Bob FXDB model's black laced steel 19 in. Harley wheels. And the blacked-out rims match the blacked-out style of the Twin Cam 96™ engine. Learn more about our other motorcycles including the Super Glide® Custom Harley-Davidson model, the Wide Glide® chopper motorcycle, and the Fat Bob® Dark Custom™ model that has a big motorcycle feel. 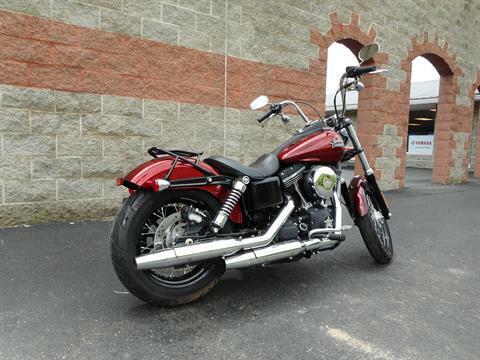 Also take a look at the Harley touring motorcycles and the Harley CVO™ motorcycles.